What to expect from a good map of Granada spain. Making plans ahead with a map of Granada can be the key to a very successful and fruitful journey. It is obvious that anything that we do will most likely come out better when being well prepared, so why should our trip to Granada be any different. After having been so meticulous in finding a cheap flight to Granada, having found a great hotel in Granada and having gone through the trouble to hire a car, we need to co-ordinate these marvellous plans by not wasting time. 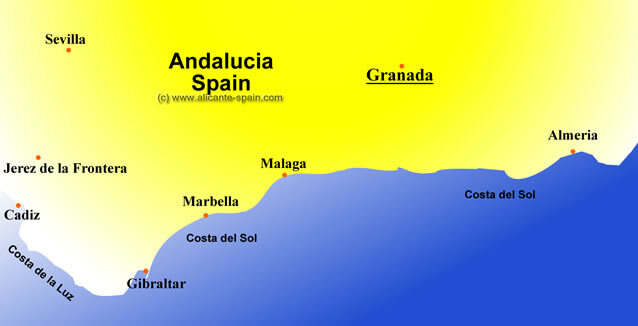 To do this correctly, it would best to have a general map of the Granada province and another of the city. By having an area map of Granada, we can jump into our hired car from the airport and head directly towards the city centre which lies to the east, about 13 kilometres on the highway marked A-92 and when coming closer to the city it changes to A-329. Make sure you have located your hotel on the map before arriving so that once within the parameter of the city limits, you can easily guide yourself by locating the main roads to take you to your destination. The busiest and most touristy part of Granada is north of the River Genil and the Alhambra is to the far east of the city. If we have arrived by rail, you can also clearly find where the station is and get your bearings. With a map of Granada city, we can be informed about the different public transport available to us and with a tourist pamphlet, get prepared to visit all the amazing attractions that Granada has to offer you. In my opinion, the first place I would look beforehand for any and all kinds of map of Granada would be in internet. Granada and any city all over the world is very anxious to have people come and visit their magnificent wonders and all wish for everyone´s visit to be the most pleasurable one, so they will have many web pages bursting with information and curious tidbits. 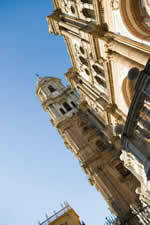 The second place would be to visit the tourist office located in the Mariana Square, no. 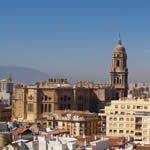 10 where you can get your first personal contact with the spanish folks and have them up-date you on the newest events and city attractions that might not have been found on internet. All this information up until now has been free, but if you still wish to indulge more profoundly, you can go to any of the many interesting book shops and look for more material or guide books. One more reason why I would acquire a map of Granada city is because there have been some changes made as far as the access to arriving at the Alhambra, Generalife and Nazaries Palaces. There are now two ways of approaching this incredible masterpiece of architecture and history, so you will need a street map to guide you either way, or if you have got the free public transport map, you can catch the bus no. 30 and leaving the beautiful Granadian streets for the return stroll. Anyway you look at it, a well informed and prepared traveller is a happy traveller and with all the map of Granada spain, your trip can be as magical as you plan it.